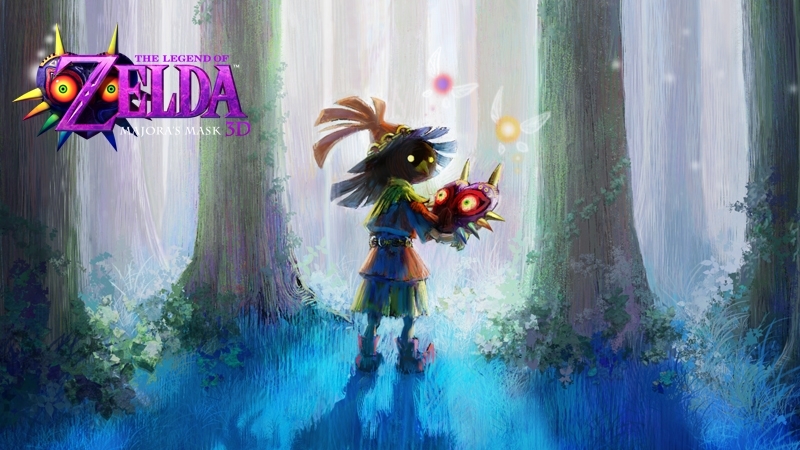 Among our many many assumptions regarding Majora’s Mask 3D after its announcement earlier this week was the idea that it hasn’t been development for a long time; the original game didn’t take long to make, so why should a simple remake? As it turns out, however, the truth behind this remake is far more exciting than what we had imagined it to be. In a post earlier today on Miiverse, Eiji Aonuma, producer of the Zelda series, took time to tell fans a little more about the upcoming game, revealing that it has been in development since his team finished working on Ocarina of Time 3D, over two and a half years ago. We’ve spent a lot of time making sure the gameplay experience is smoother than in the original version without taking away from this unique world. I hope those that haven’t played the original game, and those of you that played it but gave up mid-way through will take this opportunity to give the new version a try. When it’s closer to its release date, I’ll talk more about what has been changed in the Nintendo 3DS version and its new features right here in this community, so stay tuned! There you have it folks; Majora’s Mask 3D has not only been in development for longer than we anticipated, but it will have new features, exclusive to this iteration of the game. According to folks on this week’s poll, most of you out there are hoping these new features include a Master Quest or additional side-quests, but what else is possible? We’re likely still months away from release as the only release date we’ve heard is places the game at a late Spring release, so it’ll be a good while until we get confirmation regarding these features. Check out Aonuma’s full post below and let us know; are you ready to explore Termina anew?